Delegates started converging on the NSW port city of Newcastle on Wednesday 28 September 2016 to attend the 14th National BHA Convention. This was the first annual Convention following the switch from biennial conventions after Melbourne last year. Newcastle is the second largest city in NSW and the eighth largest in Australia. It also has the distinction of being the first non-capital city to host a BHA Convention. The competition kicked off on Wednesday with the BHA Youth Contests which were combined with the Young Singers In Harmony Contests. Both were keenly contested in their various Categories. The BHA Youth Quartet Contest was won by Skyline with the BHA Youth Chorus contest won by the Blenders Youth Chorus. The Young Singers in Harmony Ensemble Contest was also won by Skyline with the Chorus competition taken out for the second year in a row by the Baden Street Singers. Wednesday evening saw the John Little Quartet show give competing quartets the chance to perform in front of their peers. This undoubtedly helped them hone their skills for the competition the following day as well as providing a very enjoyable and relaxed show for an enthusiastic audience. The open quartet competitions got underway on Thursday in the fantastic Newcastle City Hall. Thirty four quartets competed in the various categories including Open-Semi Final , Seniors and Mixed following several last minute withdrawals due to illness. 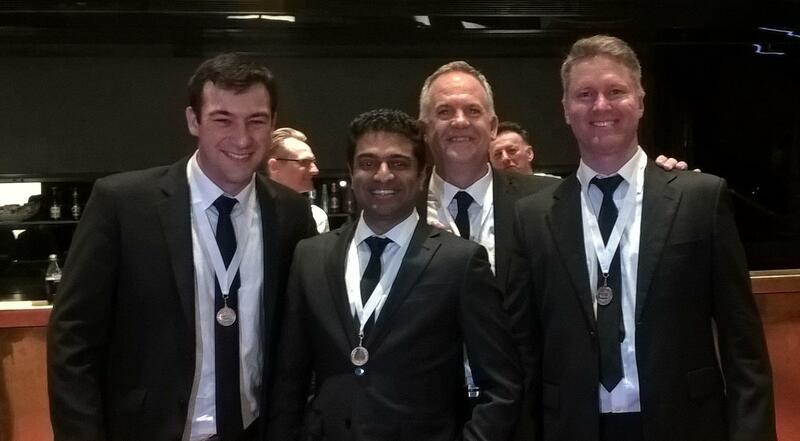 The Current BHA Quartet Gold Medallists, Lockout were unable to compete this year under new BHA Rules precluding the winning quartet from the previous year competing in the convention the year following their win. Senior Quartet stalwarts, Benchmark took out the Seniors Gold Medal again for the 5th Convention in a row with the mixed quartet Shopaholics taking out the gold in their category. 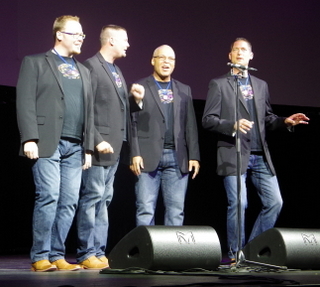 The top ten open quartet finalists were announced to slug it out in the quartet final on Friday night. 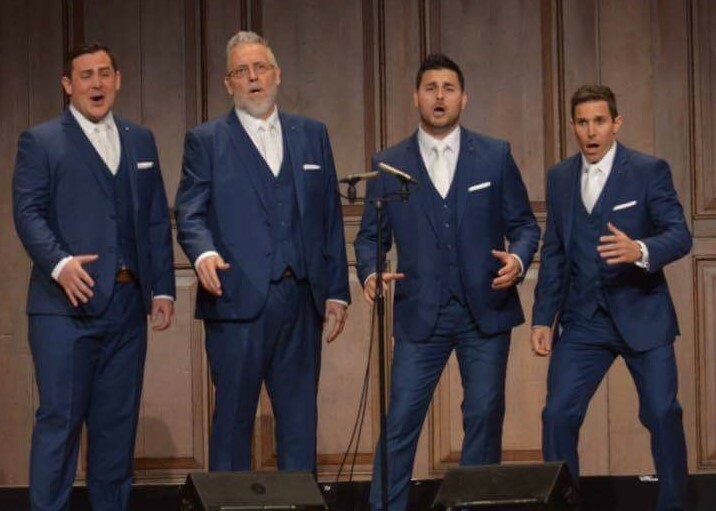 The quartet semi final was followed in the evening by the traditional welcome dinner where we saw the brilliant Forefront, perform for the first of many enjoyable times throughout the Convention. Friday morning began with the Youth Showcase Concert, then at lunchtime the massed sing in cold and windy conditions in the Newcastle Civic square. We were treated again to another performance from Forefront as well as being welcomed by the Newcastle City Deputy Mayor Cr Jason Dunn. A number of our Music Directors, including our illustrious President, Ian Mulholland, then took turns at leading the assembled group in song. The big event for Friday was the quartet Final which was held in the evening in the magnificant Newcastle City Hall. Mike testers Out of Time, who took out the most improved quartet award with an improvement of 6.95, set the scene for some brilliant singing through the evening with Bindside coming out on top with a score of 80.0 followed by Upgrade with 77.0 and Catalyst hot on their heels with 76.7. 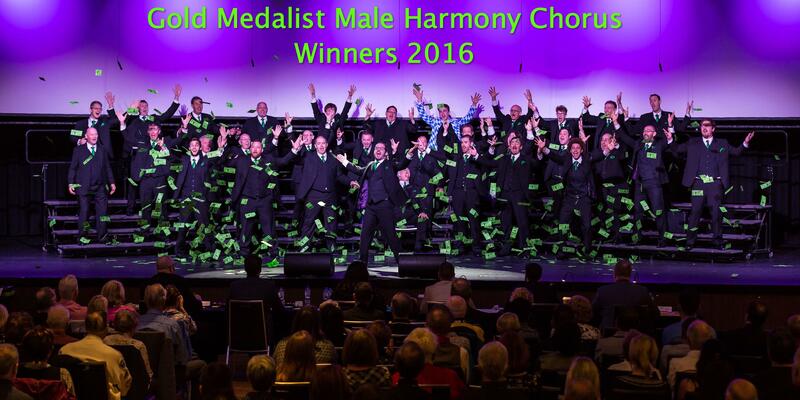 On Saturday the competition shifted to the larger auditorium in the Wests City Club just up the road from the Town Hall to accomodate the Chorus Competition. 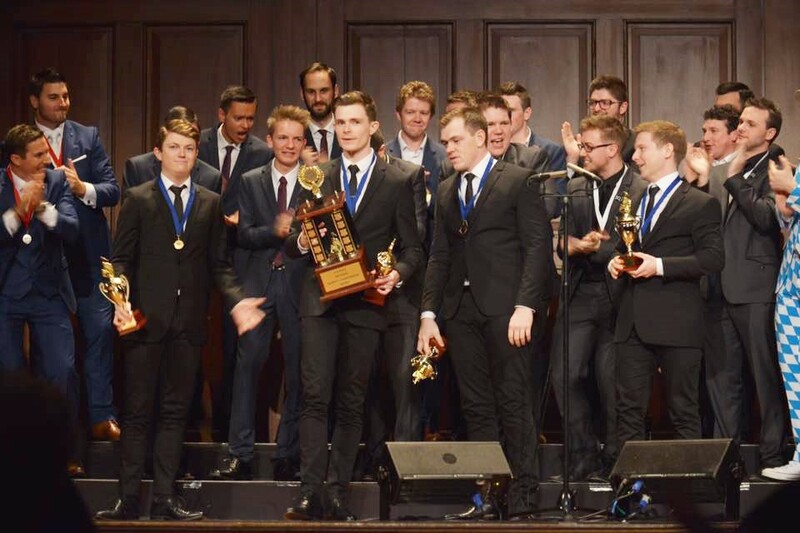 Fourteen Choruses competed with The Blenders again being the largest Chorus on the risers with sixty four singers and Sydney based Vox Canvas being the smallest with just nine singers. 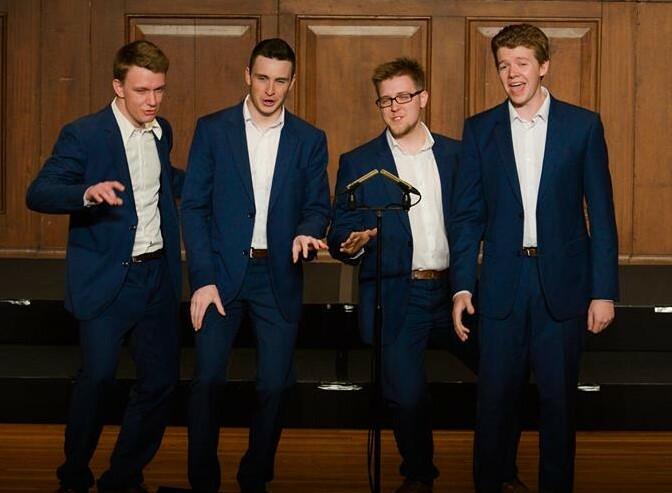 As with the quartets, the current Gold Medal Chorus, Sound Connection were unable to compete this year under new BHA rules.